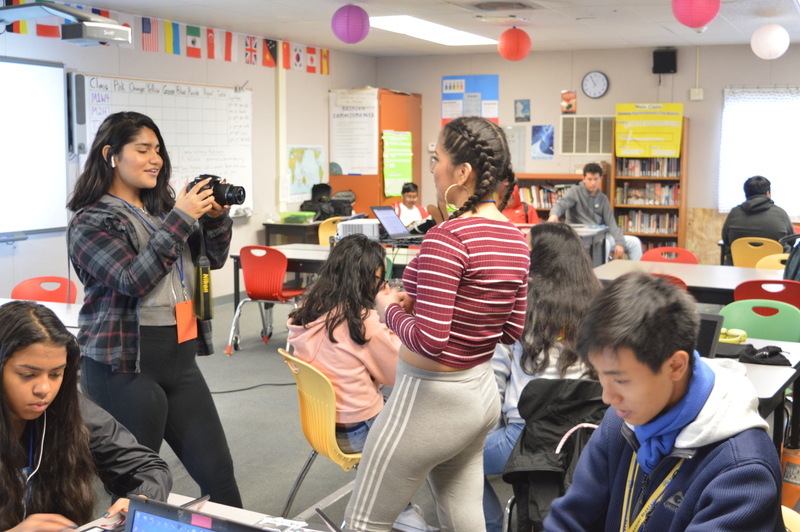 In the Video Production class at Everest Public High School, Estrella Esparza-Johnson teaches her students how to take videos and photos correctly. She also makes sure the students work in groups and individually on the projects; however, Ms. Estrella grades all students individually so one student won’t do all the work. Also, when they are filming they use their phones instead of cameras. For Celebration of Learning, the class set up stations to screen their films.